Running through some of the most attractive scenery in the Yorkshire Dales and Cumbrian Fells, the Settle-Carlisle railway is world famous for its Victorian architecture, huge stone viaducts, long tunnels and remote wayside station buildings. It is not a preserved heritage railway – it is part of the UK rail network. The diesel sprinter trains carry well over a million passengers every year and provide a vital link to the remote communities they connect. This site is managed by the Settle-Carlisle Railway Development Company. We are here to promote the line and encourage economic activity along it. Our objective is to enable all visitors to the line to have the best possible experience. It could be a day trip, or a week’s holiday – you will find everything you need right here. We’re not alone in our passion for the Settle-Carlisle. 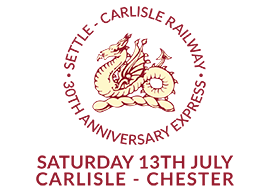 Working alongside us are The Friends of the Settle-Carlisle Line and the Settle-Carlisle Railway Trust. Find out more about how you can give your support or get involved by visiting their websites. Together we have formulated an overall strategy for the line to co-ordinate our activities and look to the future.